Woody is the modern interpretation, of a traditional shelving system inspired by a ladder. 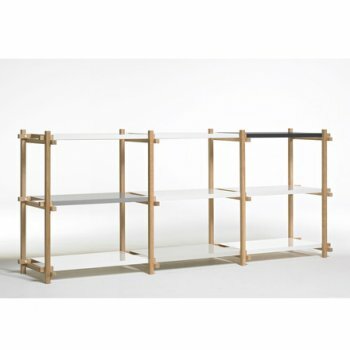 Without obvious back- and front sides, it can be used as an isolated furniture piece, or mounted on the wall. 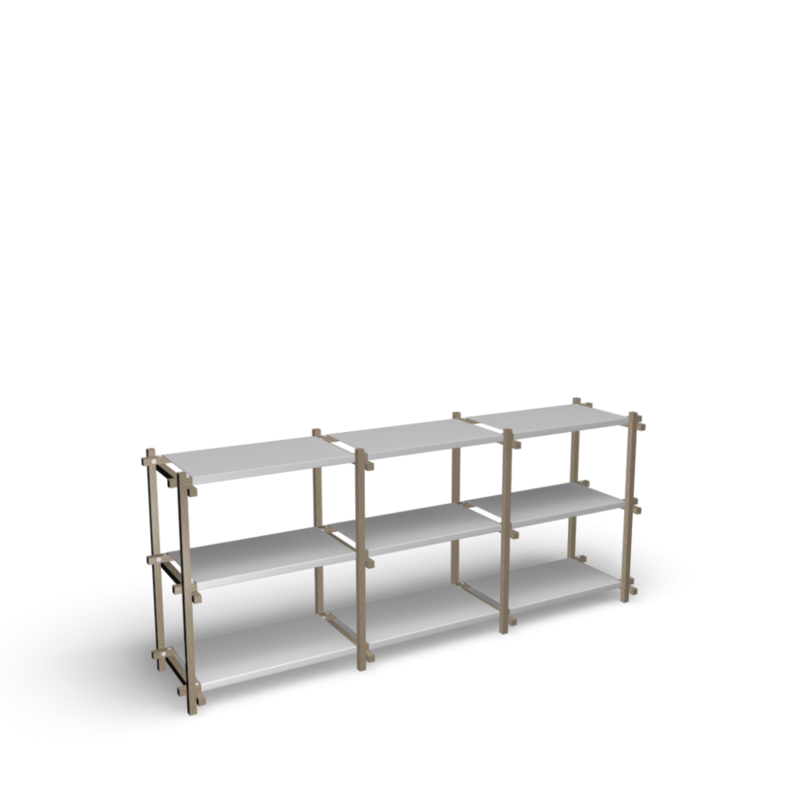 It follows the idea that a shelf visually shouldn't seem too dominant, so there's enough room for tools to be positioned inside of it.